Solving the “What's up with that case?” conundrum. IT'S TIME TO START COLLABORATING BETTER. Now when you coordinate a surgery, everyone on the case team automatically receives real-time updates. Casetabs creates alerts, notifies the right people and gives them the information they need. 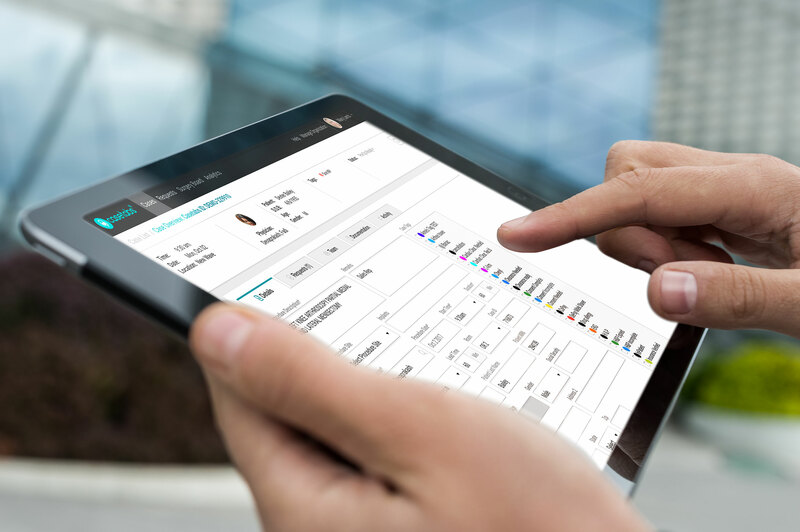 Streamline planning with surgeons and anesthesia by sharing case schedules and changes seamlessly through an app accessible from a phone, tablet, or computer. Well-informed staff can provide better care to both patients and family members. The digital surgery boards allow key stakeholders to follow the care process from check-in to discharge. 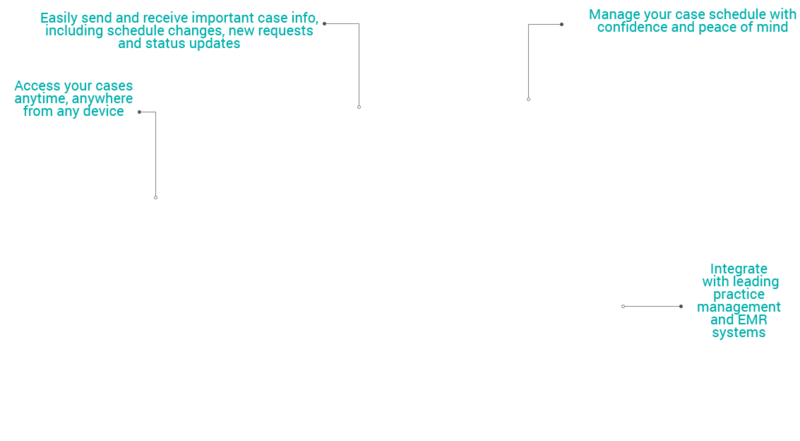 Real-time visibility to add-on, changed, and canceled cases enables staff to respond quicker and significantly reduce the number of communication points via text, email, phone, and word-of-mouth of those changes. In other words, no more "telephone game." Access to case updates right when they happen allows interconnected departments to perform their roles more efficiently. Casetabs digital surgery boards create visibility and shared understanding across departments to improve collaboration and empower teamwork. 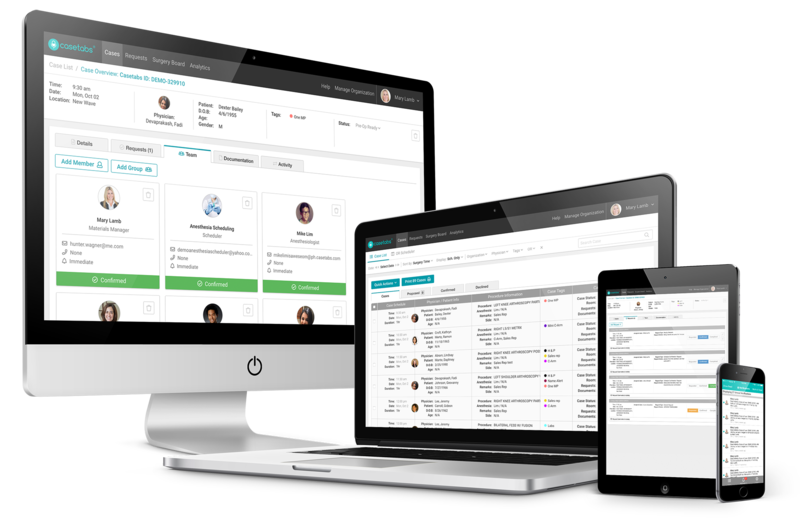 Casetabs creates a central hub for sharing case information and real-time updates amongst physicians, physician offices, facility staff, and vendor reps. 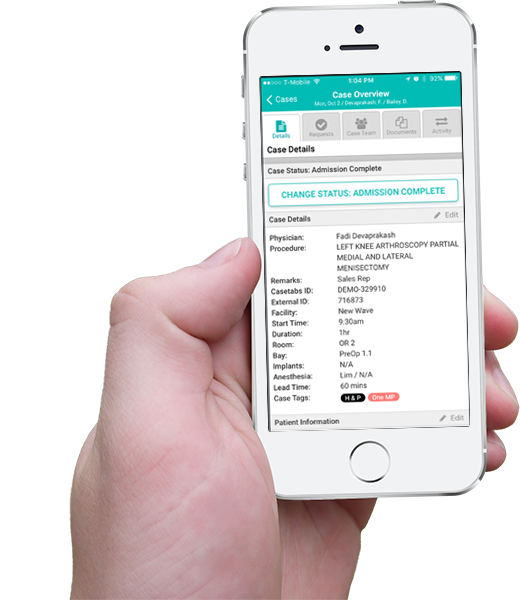 The app reduces the likelihood of errors, missing or inaccurate case information, and any communication breakdowns. Send ,receive and track the status of vendor requests to see that they've been confirmed and completed. Avoid last-minute fire drills with real-time text and email alerts for any case changes. Imagine everyone on the same page, without using a page. Welcome to Casetabs - better case communication. The surgery schedule should not be affected by someone leaning up against the whiteboard. 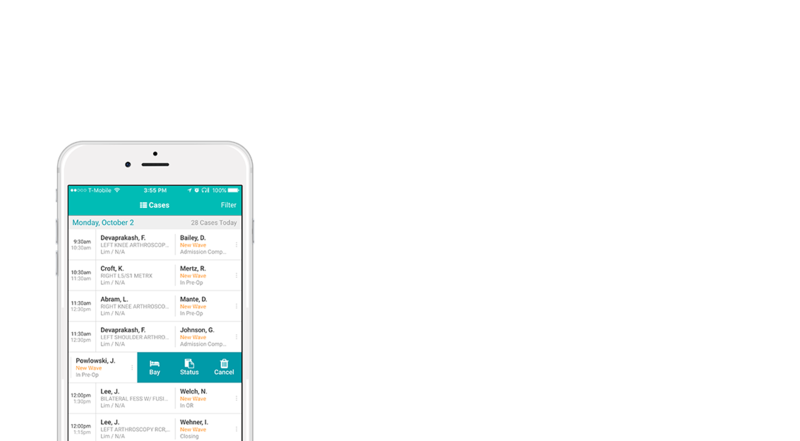 Casetabs enables you to know what's happening with your case schedule wherever you are, in real-time and fully integrated with your EMR/PM system. One of the key benefits of Casetabs is the ability to work seamlessly between medical facilities and physician offices. Our demo is a simple walkthrough of Casetabs. 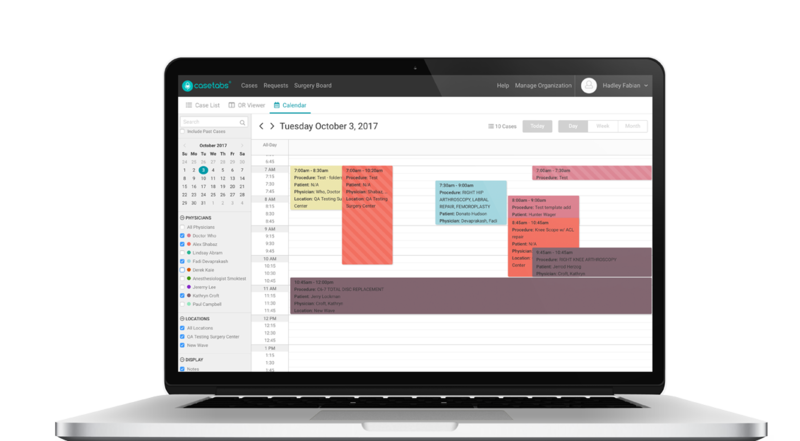 We'll schedule a live, shared-screen demo where you'll be able to see how all of the Casetabs features help your center communicate more efficiently.